We invite you to rally your friends, families, youth leaders, and church communities to “Walk the Road” with us on September 16, 2018. 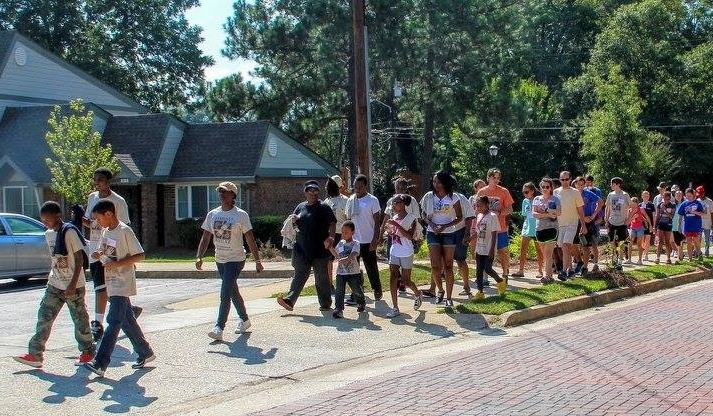 Walk The Road is an opportunity to learn, serve, and walk with our neighbors in Peoplestown as we explore the community’s experience living in the neighborhoods south of downtown Atlanta. This year, our theme is gun safety. 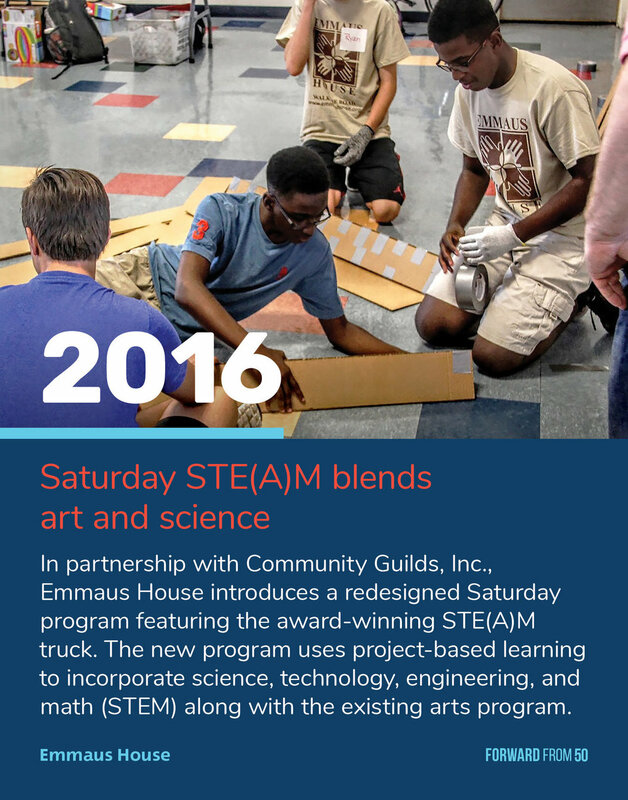 Please save the date for an afternoon of service projects and a guided tour of our neighborhood. Before we march to the Capitol Building Plaza, clergy and advocates will share perspectives on gun safety and legislation. The afternoon will conclude with a community meal. We look forward to walking the road with you in September! 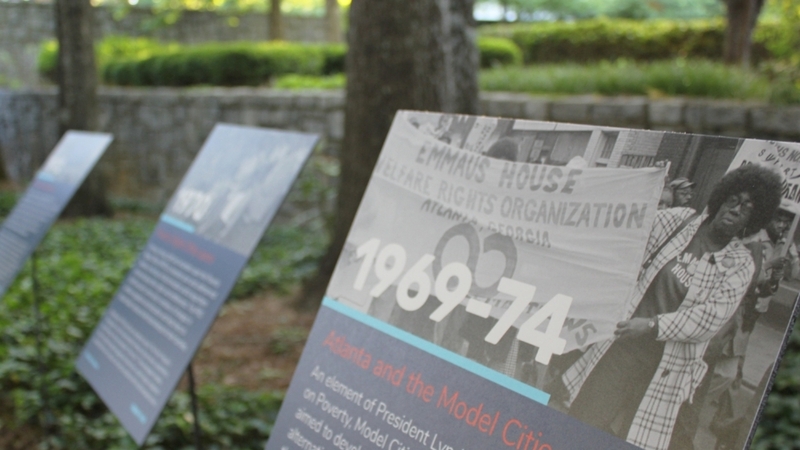 Emmaus House’s 50th anniversary gala featured a history walk, where 30 posters lined the Carter Center’s beautiful reflecting pool, an apt place for people to read and reflect on Emmaus House, the Peoplestown community, and the civil rights movement in Atlanta. You can read more about the gala here. 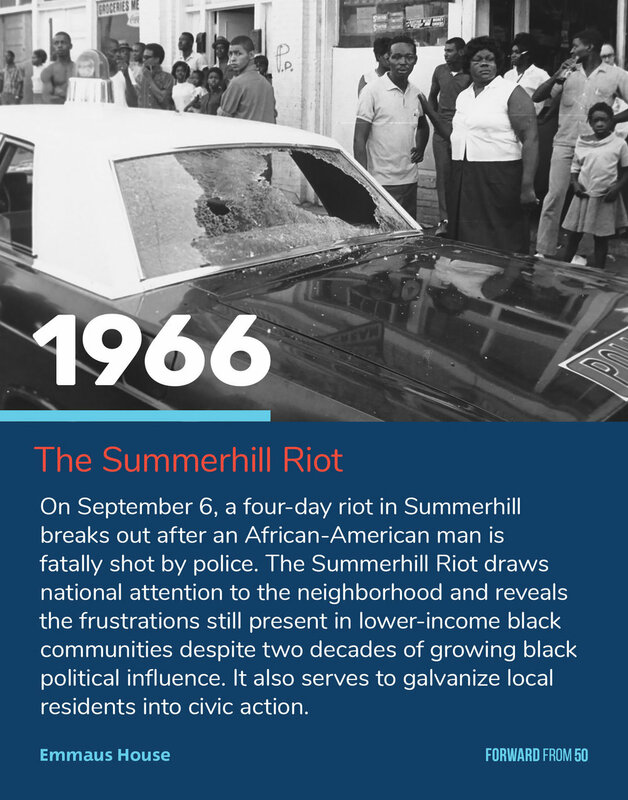 The history walk began with a prelude to Emmaus House, the 1966 Summerhill Riot. 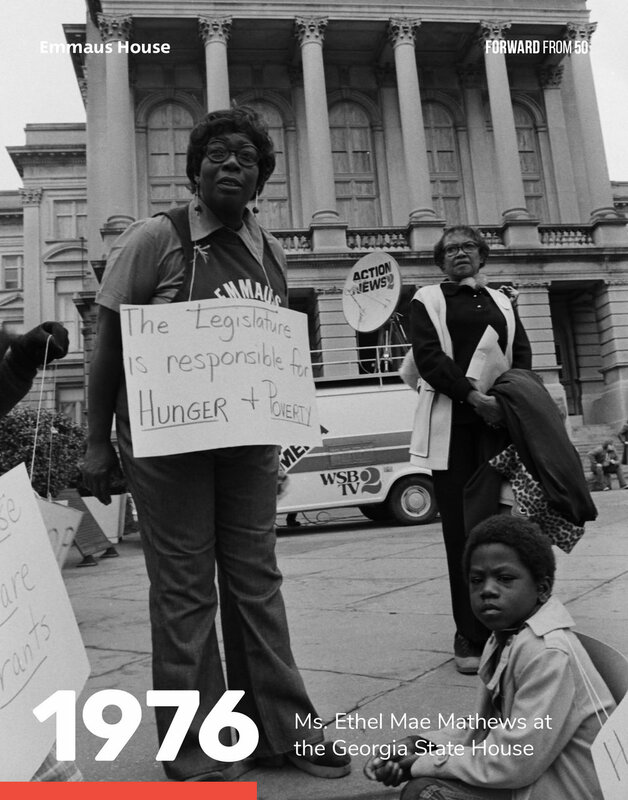 The four-day incident resulted in the death of one African American and revealed the frustration among lower-income black communities in the face of systematic oppression. 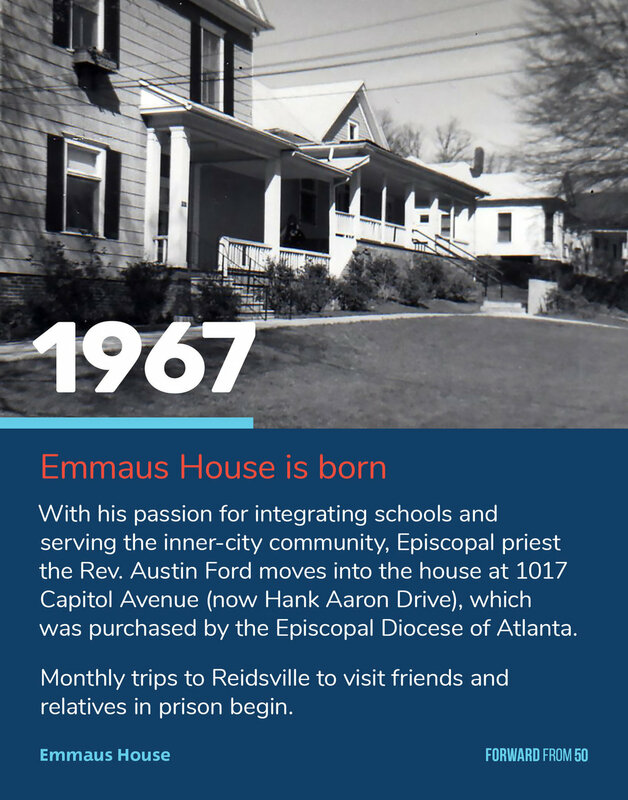 From there, the history walk moves right into the beginning of Emmaus House, with the Episcopal Diocese of Atlanta buying the building and the Rev. Austin Ford moving into it in 1967. 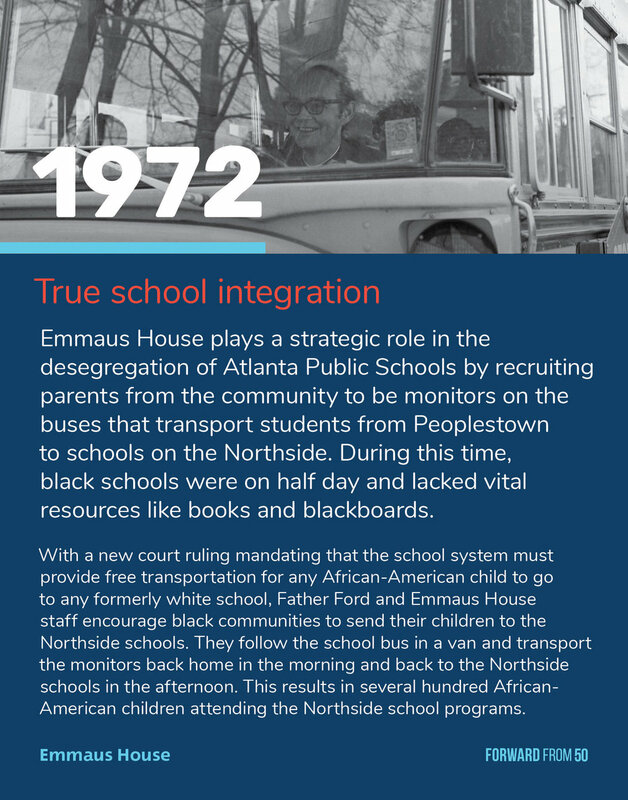 The other main events highlighted in the showcase include the opening of the Poverty Rights Office in 1970, the launching of the Summers Away Program in 1980, and the partnering with the Children’s Defense Fund to become a CDF Freedom Schools® program. 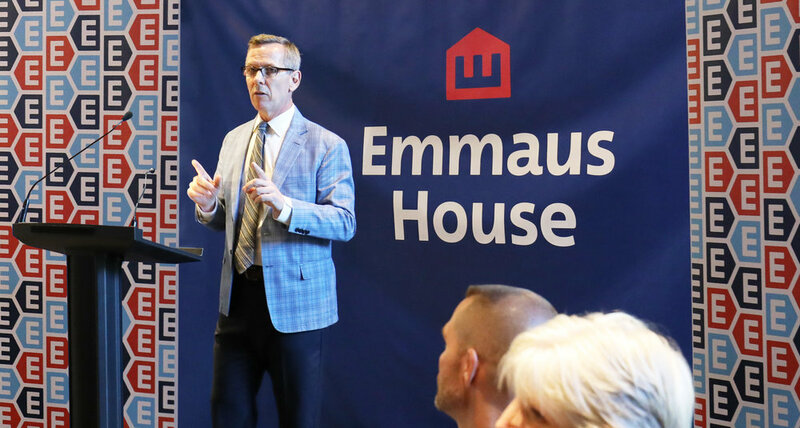 Blue skies and warm temperatures made for a great day to celebrate the 50th anniversary of Emmaus House serving the Peoplestown community. 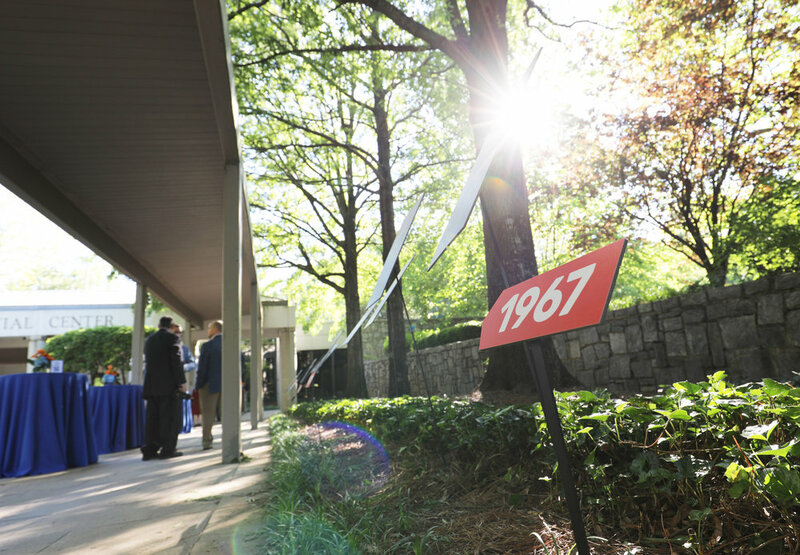 Nearly 200 guests attended the “Forward from 50” Gala May 7 at the Carter Center, helping to raise nearly $100,000 during the event. 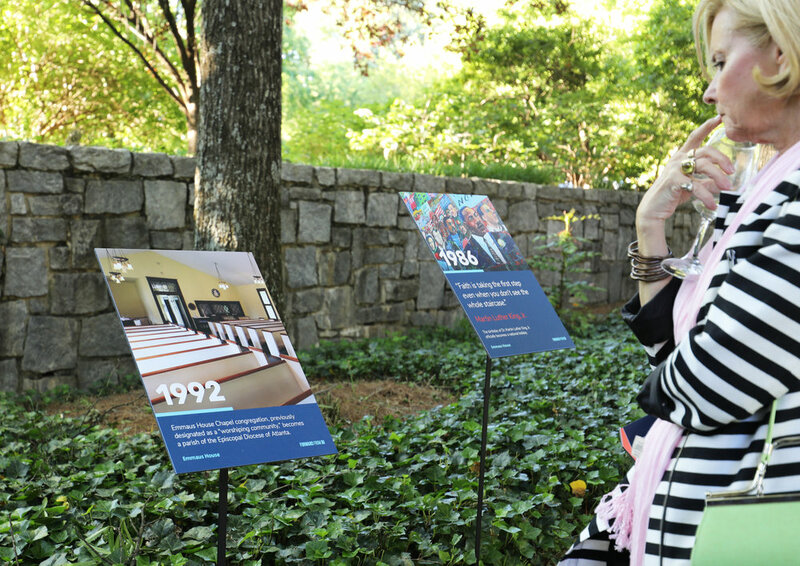 The gala included a history walk, where people could read about events from the last 50 years of Emmaus House, Peoplestown, and the civil rights movement on 30 billboards that lined the outdoor portico. The history walk did not end with a sentence but with a "to be continued," echoing the theme of the evening, "Forward from 50." Experience the history walk here. The Rt. Rev. 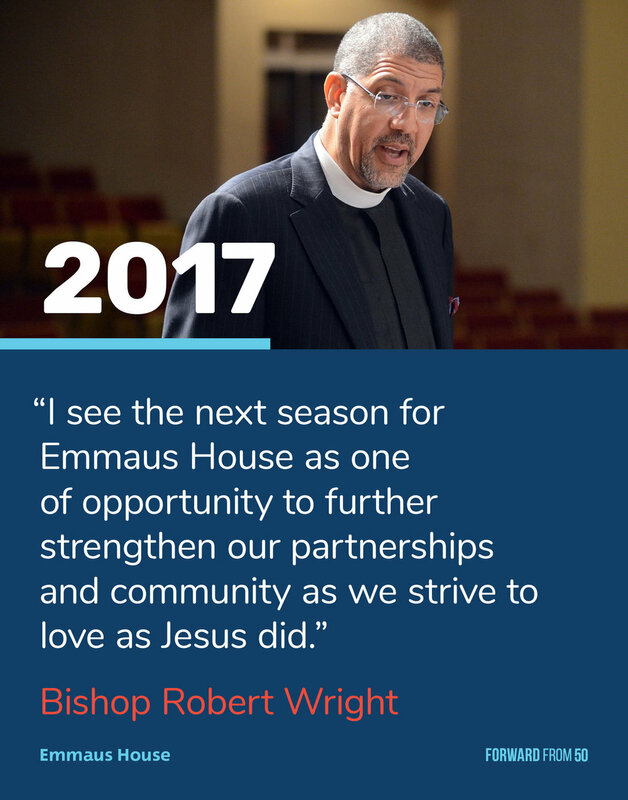 Robert Wright, bishop of the Diocese of Atlanta, opened up the event with a welcome and invocation, followed by remarks from Cole. Speakers also included ACLU of Georgia Executive Director Andrea Young as well as Youth on the Move’s own Alexis Peterson and Khairi Corporal. 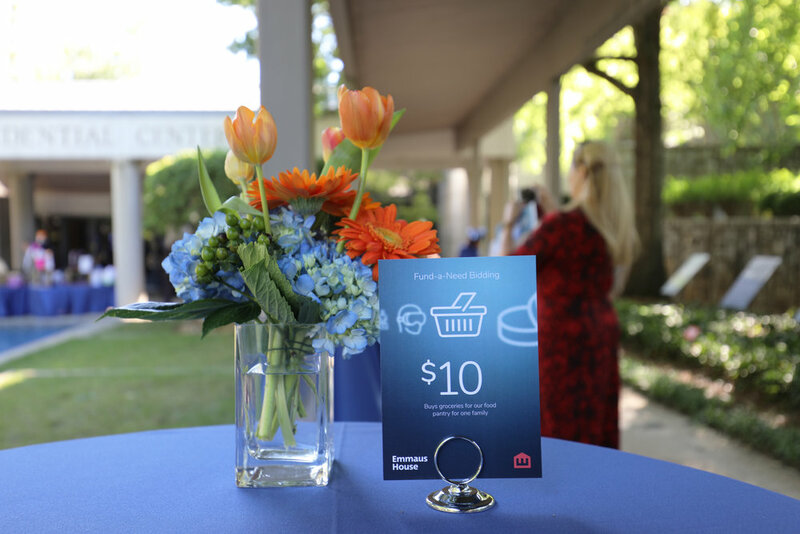 The gala concluded with Fund-a-Need Bidding, where Emmaus House supporters had the opportunity to make donations toward Emmaus House programs and initiatives. 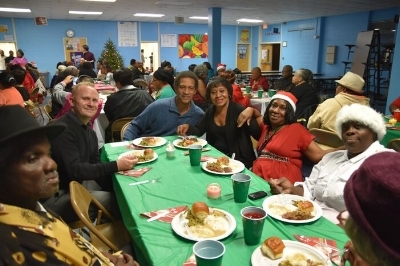 There are many ways to celebrate the holidays with Emmaus House and the residents of Peoplestown. If you would like more information, please contact Charlotte Cameron and she will send you a brochure with descriptions and ways to help. Contact Charlotte Cameron at 404-525-5948, ext. 22, or charlottecameron@emmaushouse.org. 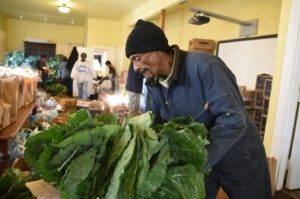 Emmaus House provides 350 families with a turkey, side items, and fresh greens, allowing each family to prepare and enjoy a meal in their own home. Contribute to the cost of 350 turkeys. Bags are due by Nov. 20 by 1:00 p.m. Contact Adam Seeley at 404-525-5948, ext. 27, or adamseeley@emmaushouse.org. 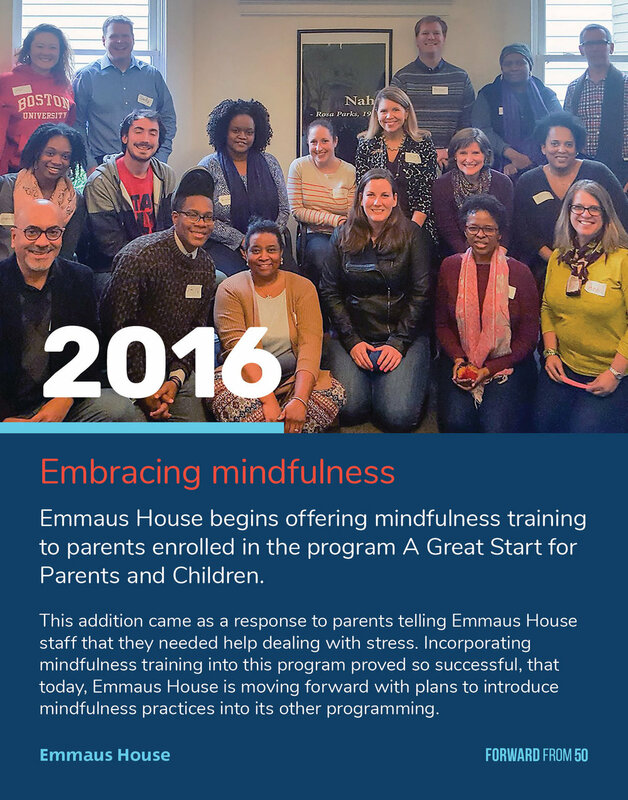 Emmaus House partners with The Study Hall and McDevitt Center for a fellowship gathering and tree lighting in Peoplestown. Dress up in holiday hats and clothes. Help lead the Christmas carol singing. Help with setup (3:00 pm). Bring your family and friends and celebrate the season with residents of Peoplestown. Contact Charlotte Cameron at 404-525-5948, ext. 22, or charlottecameron@emmaushouse.org. Our 555 Seniors group celebrates Christmas with lunch, music and a visit from Santa and his elves! 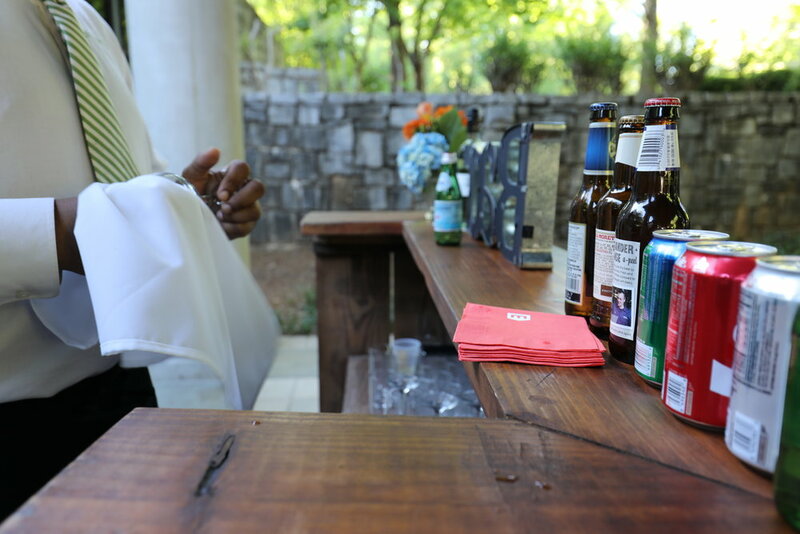 The 2016 luncheon will be hosted by Church of the Holy Innocents’. Community grandparents raising grandchildren are invited to take the night off and join us for dinner, singing and a raffle. This is an activity of the Emmaus House Chapel. Children buy gifts for their parents, grandparents and family members. Volunteers help shop and gift wrap. Contact Father Ricardo Bailey at 404-525-5948, ext. 13, or ricardobailey@emmaushouse.org. 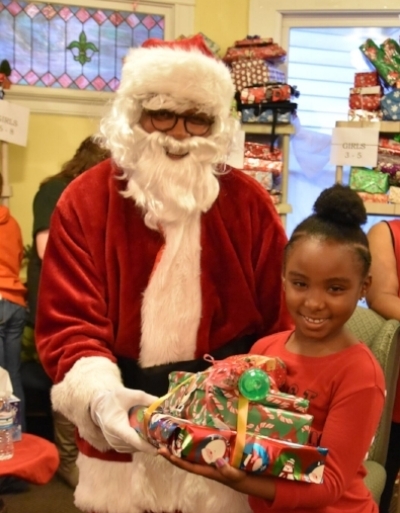 Santa and Mrs. Claus come to Emmaus House and distribute gifts to 900+ children. 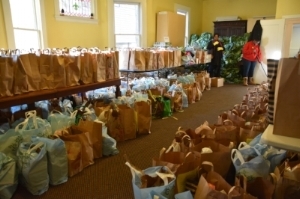 Create an “Angel Tree” for your parish, organization or group of friends. Shop, collect, wrap (optional) and label toys. Gifts should be delivered between December 16 and December 23. Help sort, stack and wrap Christmas gifts at Emmaus House after December 16th. Volunteer to help Santa & Mrs. Clause on December 24th. No time to shop? Send a donation to Emmaus House or donate online HERE and we will shop for you! 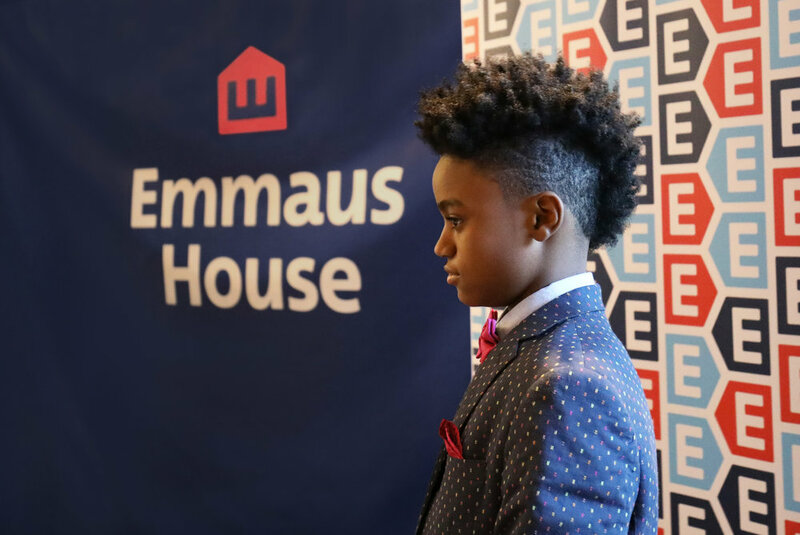 Please plan to join us for our annual gala where we will celebrate the resilient human spirit that inspires children and families to build better lives for themselves and motivates all of us at Emmaus House to support them.